What compels you to wake up every morning, lace up your shoes and run? What is it? Why do you run? I feel as though I have been asked these questions hundreds of times. The answer, for me, is simple. I measure my days not in minutes, but in miles. Running always has been an enormous part of my life, but by no means did it come easy. It has always been something that I have had to work at. From a humble introduction to the sport — struggling to make it up the famed “Start Hill” at Holmdel Park with my father as an elementary schoolboy — to progressing into an NJSIAA Meet of Champions winner, to competing as a Division I runner for Villanova University, I always knew there was something about the sport that would strike a chord within me. Running is tangible. You can measure progress, success, failures, triumphs and defeats. It is emotional. You have your “ups” and your “downs,” your good days and your bad. It is this state of flux that keeps me interested, and keeps me coming back for more. This is what gets me out of bed for an 18-mile run in the bitter winter cold and has me doing intervals on the track during our humid New Jersey summers. I am addicted to the adrenaline — the rush I get while blasting around the final turn of the track during the last interval of a workout, or the way the hair stands up on the back of my neck as I hear the crowd roar 17 miles into a marathon. The sense of accomplishment after a hard day of training, or setting a personal best at a distance, is unlike anything I’ve yet to come across elsewhere. The sport of running is unique in that it is truly relative. An individual attempting to break four minutes in the mile, and tying up on the backstretch of the track, is experiencing the same struggle as the weekend warrior who sprints toward the finish of the local 5K. Regardless of whether you are in first or ten-thousandth place, it is the common pain and exertion that every runner can associate with. The beauty of our sport is that running not only has taught me a lot about myself and my own character, but it has taught me a lot about others. I have met amazing people through the sport — some of them training partners, some of them coaches, and some of them a newbie getting his first taste of my true love. The lifelong relationships I have developed with these individuals are priceless. Running also is a release. It is a daily opportunity to take a step back, reflect, and lose myself — a mental break from the everyday stresses of the workplace, home life or relationships. It is my form of therapy. Running allows me the chance to do some serious soul-searching. Be it running through the hills of Harthshorne Woods, the boardwalk in Belmar, up “The Bowl” at Holmdel Park, or endless loops around the Manasquan Reservoir, I revert back to a childish innocence and simply appreciate the action of putting one foot in front of another. So this is what running means to me. This is why I run. It is not a sport. It is my lifestyle. 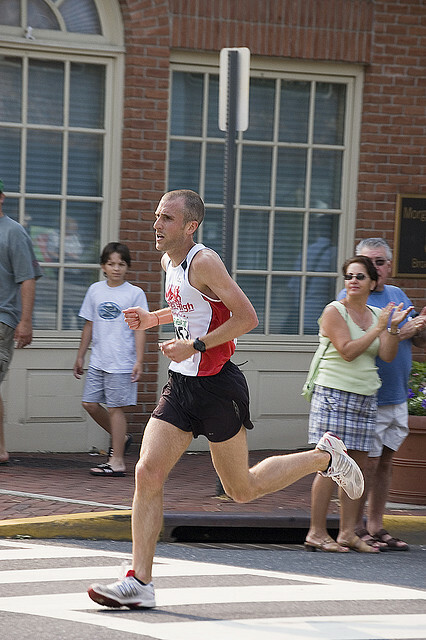 Craig Segal, co-owner of Runner’s High in Freehold, a shop specializing in running shoes and apparel, has been a competitive distance runner for 17 years. 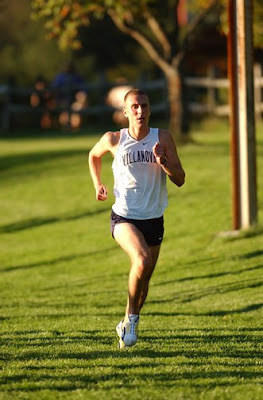 He is a graduate of Holmdel High School, Villanova and Monmouth Universities.